Watching the pros “struggle” at Harbour Town. Not surprisingly, the crane didn’t make it into any of CBS’s hundreds of shots of the iconic Harbour Town lighthouse today. 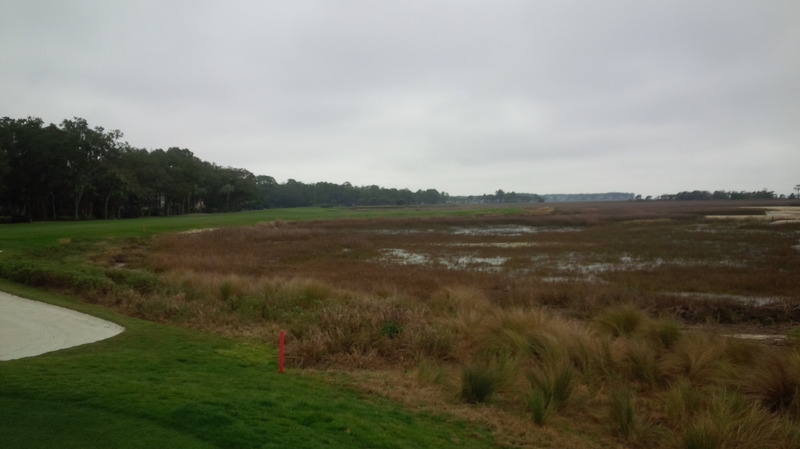 Saturday was a fun day to watch the RBC Heritage at Harbour Town Golf Links. The course was extremely wet. It was a cool, windy, nasty day. The famed 18th played dead into the wind, making it a three shot par 4. Basically, the pros were playing the course under nearly the same conditions as when I played it just five weeks ago. The leader at the end of today’s third round was Luke Donald at 8-under par. He is a former World’s No. 1 ranked golfer, so it is no surprise that he would be able to play well at Harbour Town and lead the tournament, and (-8) is a perfectly respectable score after three rounds. 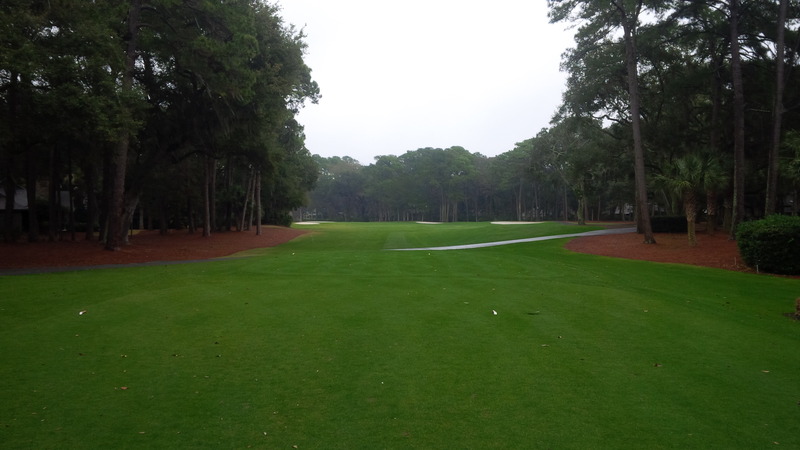 However, by PGA Tour standards, Harbour Town Golf Links is a relatively short golf course at 7,101 yards. I realize that for the RBC Heritage, it’s only a par 71 golf course. Nonetheless, I’ve seen where the championship tees are located at Harbour Town and I’m more than a little surprised the leading number isn’t further under par. 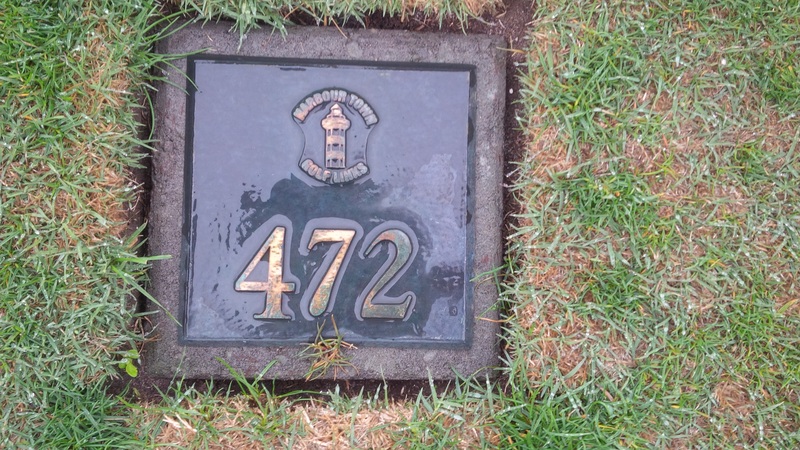 472 yards could be a lengthy but benign par 4, especially for PGA Tour professionals. But at Harbour Town, it’s a monster into a 2 or 3 club wind, with Calibogue Sound on the left and a short out-of-bounds to the right. I don’t have a definitive position on “U.S. Open Tough” golf courses. There is definitely a certain cache that accompanies the tournament and the courses capable of being set up as the sternest test of golf in the world. No one should be surprised by how narrow the fairways are, how long the course is, how long the rough is, or how fast the greens are at any U.S. Open Championship. However, some years the USGA goes way overboard, beyond the realm of “fair” and purely into “punishing.” I remember, vividly, what I felt like after playing Cog Hill #4 and 36 holes at Silver Lakes. These weren’t U.S. Open Courses, but were far and away the most physically and mentally punishing rounds of golf I can remember playing. So I struggle to fathom what teeing it up under U.S. Open conditions, and I’m certain I don’t want to find out anytime soon. Whatever your feelings about U.S. Open and it’s incredibly difficult golf courses, rest assured that Harbour Town Golf Links is not one of them. I don’t know what the professionals are used to, but it looks a lot narrower on television than it did in reality. 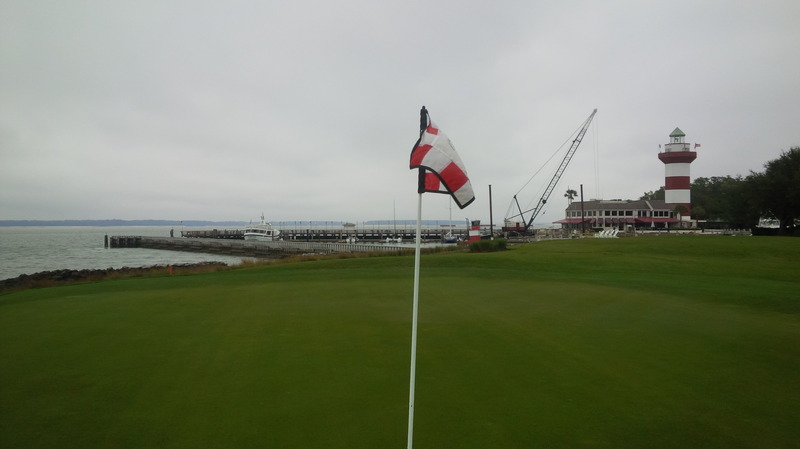 By modern standards, it’s a short course predicated on angles and playing the golf backwards from the green to the tee. So it’s kind of refreshing to see the pros struggle much the same way I did getting around the course (obviously, I didn’t play the tees they did, and I literally was all by myself out there, but still…). I saw Tour pros leaving their shots in the some of the same awful places I did. From the comfort of my couch, I grinned recognizing balls landing in the same waste areas and professionals struggling with the same diabolical angles and pin positions that I battled. Some of the best players in the battled to manage the Pete Dye classic much the same way I did. This is the first time I’ve ever been able to watch the professionals play a course I have played. It really is a different, much enhanced experience having some kind of familiarity and connection to the golf course. Perhaps that’s why the Masters Tournament is so special to so many golfers and golf fans, because we know where the trouble spots are on Augusta National’s second nine on Sunday without Sir Nick Faldo having to tell us. At least I can say I kept my ball out of the marshes and the Calibogue Sound on No. 18, which is more than several PGA Tour pros could say Saturday. The bottom line is I’m enthusiastically anticipating watching Sunday’s final round of the RBC Heritage. I’m hoping for a dazzling display of shot making and rooting for an exciting, contested finish. But for one day, it was nice to slip into the delusion that I could play the same game as the big boy golfers, even if I know it isn’t true. And if you have the chance to play a course that hosts a professional tournament, be it the PGA, Champions, LPGA, or Web.com tour, I would advise you to not let the opportunity pass you by.